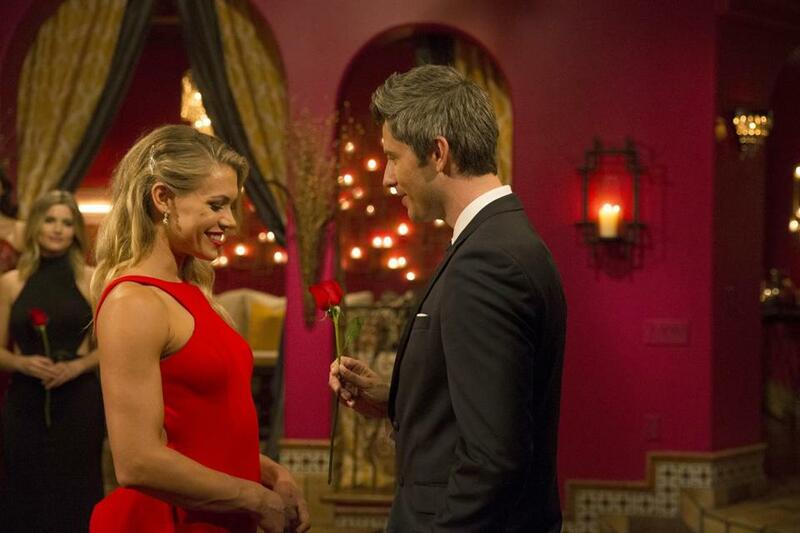 So why do we watch ‘The Bachelor’? Hearing the question out loud gave the Los Angeles Times journalist pause. The project did sound kind of . . . trivial. “I think I fought against that myself when I was going into it,” Kaufman said. Now that the Massachusetts native has written “Bachelor Nation,” which will be released by Dutton on Tuesday, she (and her parents) can tell you that while the topic may seem trivial it undeniably qualifies as a cultural phenomenon. Consider this: “The Bachelor” has had 22 seasons since 2002, not counting its many spin-offs, which include “The Bachelorette,” “Bachelor in Paradise,” and “Bachelor Pad.” Each episode draws more than 5 million viewers. It has inspired parodies (including the celebrity-packed comedy “Burning Love,” which featured stars such as Kristen Bell, Ken Marino, and Ben Stiller), and the drama “UnREAL” on Lifetime, which follows the producers of a “Bachelor”-style show and its contestants. That series won a Peabody Award in 2015. Still, it’s “The Bachelor’’ were talking about here. So when Kaufman began writing her book, she knew that at its heart would be these questions: If the show is so vapid, why is it so popular? Why do so many smart women watch it? And why does she like it so much herself? Kaufman, 32, fell for the series during Season 13. That one featured Bachelor Jason Mesnick, who famously chose one contestant, proposed to her, and later rejected her on live television, saying that he’d changed his mind in favor of the runner-up. At that point, Kaufman had graduated Milton Academy and USC, where she’d opted to study writing instead of her first love, acting. The show’s finale stunned her. In the years following, Kaufman would become a high-profile fan. She wrote about the series for the Times and became a go-to social-media personality for devotees of the show. Her coverage even made her a name with the series’ stars; former contestants such as the oft-weeping Ashley Iaconetti and Eric Bigger have watched from her couch. That might have made it easier for her when she started doing her research. She contacted every former contestant and crew member she could find from all the seasons. Many responded, and she did about 60 interviews. The result is a tell-all look at the history of the show, with details about its creator, Mike Fleiss (“Hollywood Madam’’ Heidi’s second cousin), and what happens off-camera. One of the more headline-grabbing facts is that the most common reasons contestants get disqualified from the show is . . . herpes. Kaufman explains in those chapters that the high drama of the show isn’t fake; it’s simply brought on by the extreme circumstances that are part of the production strategy. For starters, prospective contestants face background checks (to discover potential problems and juicy future story lines). They are grilled and given psychological tests to weed out the truly troubled but also so producers can get a sense of which competitors seem most likely to prove compelling (or repulsive). Then there is “the bubble’’ — a living environment that ensures contestants will have little privacy (they must agree to be filmed 24/7, and personal quarters are shared). Kaufman also puts the show in context, with history of reality romance on television, from Chuck Barris’s “The Dating Game” to “Singled Out” on MTV. All of that is fascinating, but it still fails to get at the question of the show’s appeal, especially with those who can’t help but shake their heads at its utterly unrealistic vision of dating and relationships. It turns out Kaufman isn’t the only one who struggles with it. Interspersed with her narrative are short essays from famous fans such as Amy Schumer, Allison Williams, Diablo Cody, Jason Ritter, Donnie Wahlberg, and comedian Nikki Glaser about why they watch. Williams says she views it all through a feminist lens. Cody admits it allows her to feel superior. Kaufman rejects the idea that anyone is truly hate-watching the program. In the book, she comes to a list of conclusions about why “The Bachelor” works, and one is pure romance. Michael Kaufman, Amy’s father, who watches the show in Marblehead with Amy’s mother, Claudia, said he subscribes to one of Kaufman’s other theories, which is that the show provides a shared experience for viewers, a sense of community. “Maybe it’s an excuse to say we’re going to get together,” he said. Kaufman is still grappling with what it all means. 1. Jason Mesnick’s “After the Final Rose” episode in 2009. He changes his mind about the love of his life. Kaufman becomes a “Bachelor” devotee. 2. In a controversial move in 2015, Bachelorette Kaitlyn Bristowegets intimate with Nick Viall weeks before the Fantasy Suite date, which is when contestants are supposed to spend the night together for the first time. 3. In 2010, Jake Pavelka and Vienna Girardi are interviewed by host Chris Harrison about their breakup. The results are contentious. 4. In 2010, “Bachelorette” contestant Justin “Rated R” Rego is caught with an ex-girlfriend and tries to run off the show and away from cameras with a broken leg. The run takes him through many hedges. 5. Kasey Kahl reveals to Bachelorette and Massachusetts native Ali Fedotowsky in 2010 that he got a tattoo promising to “guard and protect her heart.” Moments later, he is left on a glacier after a “two-on-one” date.